One of the best investments you can make with respect to your HVAC systems is a well thought out preventative maintenance program which you insistently adhere to. We all would love to install a shiny, new, energy-efficient piece of equipment and not have to worry about it for the next 15 years. Sadly, a scenario like that only occurs while our heads are on the pillow at night. Instead, our HVAC units need routine maintenance to keep the system running at peak efficiency, to extend the life of the unit, and to prevent costly failures. For those reasons, the up-front cost of a comprehensive PM plan inevitably pays for itself multiple times over during an asset’s lifespan. So, what should be included in your preventative maintenance program to maximize those potential savings? Well, there are a myriad of items which should be captured, including the common practices of changing filters and belts and checking the refrigerant charge. There’s also one item we highly recommend adding to a PM program. One in which we unfortunately see left out all too often. That practice is coil cleaning. So, why do so many leave coil cleaning riding the PM bench? The reasoning we often hear is most don’t understand the value of coil cleaning brings to the table, and that is a valid argument. Looking at it from a high level – who cares if the HVAC unit gets dirty? It usually sits on the roof unnoticed, or it’s tucked away where no one can see it. So what does it matter? In reality, when you get into the details and the numbers, it turns out it matters a lot. Neglecting the cleanliness of your unit’s coils can ultimately have big repercussions with respect to your energy costs and the overall health of the equipment. So, let’s start with the basics and discuss the role coils play within your commercial HVAC equipment, and then shift into why, how, and by how much adding coil cleaning to your PM program can save you over time. There are 2 types of coils within your HVAC unit; condenser coils and evaporator coils. Both are integral parts to an HVAC system and are the beachhead for where a good chunk of the work happens within a unit. Let’s start with evaporator coils. The purpose of an evaporator coil is to remove heat from the air. These coils are responsible for cooling the air which will be dispersed throughout your building. The process begins with the unit’s compressor pulling refrigerant through the tubing in the evaporator coil. Before entering the coil, the refrigerant passes through the expansion valve which relieves pressure from the refrigerant, rapidly cooling it. As warm air passes through the coils, the cooled refrigerant absorbs heat from the air, thereby lowering the air temperature before it’s transferred into your occupied space. The condenser coils then complete the cycle by working in a similar but opposite fashion. Where the evaporator coils pick up heat to cool the indoor air, the condenser coils are responsible for releasing that heat into the outdoor air. Once the warmed refrigerant leaves the evaporator coils, it is forced through the condenser coils. With condenser coils being exposed to outdoor air, the heat transfers from the refrigerant to the ambient air where it can be taken away from the unit. Due to the difference in the air in which the coils are exposed to, debris will collect at different rates. Being in direct contact with outdoor air and the elements means condenser coils are highly prone to the quick accumulation of dirt, debris, and grime which can result in loss of efficiency and even a potential system failure. Meanwhile, evaporator coils are housed within the unit. This means these condensing coil counterparts are only exposed to filtered air. Even with this being the case, don’t turn your nose up to cleaning the evaporator coils – it does not mean they are out of the woods. Small particles can still bypass filters, and if the filters aren’t regularly changed, dirt can easily compromise evaporator coils which again can be the source of a variety of costly issues. As dirt and debris collects on a unit’s coils it becomes increasingly harder for the designed heat transfer to occur. 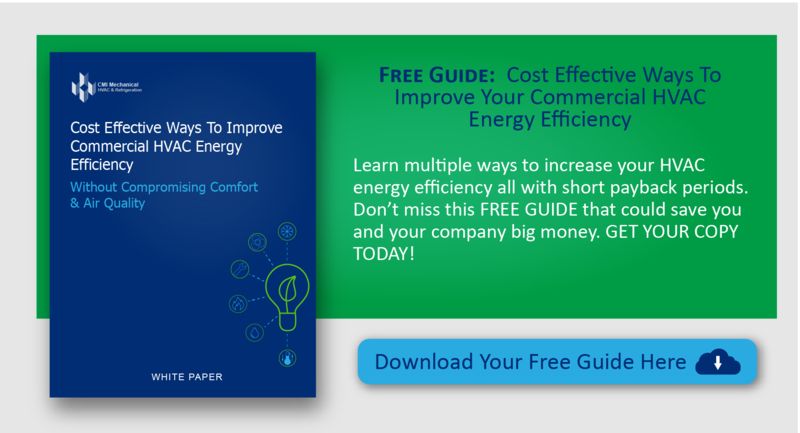 This ultimately means you’ll be paying for this loss of efficiency through your energy bills. In fact, studies show failure to maintain clean coils can cause your HVAC system to utilize 20-50% more energy. To help prove the point, let’s turn to an ASHRAE coil cleaning study from 2005. In it, they performed coil cleaning procedures on 2 of a building’s 4 commercial HVAC units and compared the energy usage results. They found just one of the cleaned units dropped energy consumption to the tune of $40,000 in one year alone! Due to the efficiency reduction with respect to heat transfer, the unit’s compressor will need to work harder and longer in an attempt to reach the same level of cooling you expect. As much as 30% of the system’s cooling capacity can be lost when this occurs and with the extra load placed on your compressor, there is a higher likelihood it may fail. With the compressor being the lifeblood of a unit, it can be very expensive to fix. Depending on the age of the unit, a failed compressor may mean you have to replace the entire piece of equipment. Dirty coils are ideal breeding grounds for bacteria and mold. Remember, the air that passes through the evaporator coil has already been filtered and does not go through another filtering process before entering your building. Therefore, when the evaporator coils are neglected for a long period of time, the bacteria that builds may get dispersed throughout your space. This reduction in air quality could lead to respiratory issues for your employees, customers, and occupants. There are a number of different methods and schools of thought within the coil cleaning domain and you should do your due diligence and research around each approach. Cadence – How often should you perform the cleaning? Safety – Power washing equipment and chemicals can be dangerous and potentially harmful to the environment and the technicians using them. Process – Coils and fins can be very delicate. Improper cleaning techniques can cause damage meaning more money out of your pocket in repairs. The long and short of it – get your coils cleaned and hire trained professionals to complete the job. Make sure you speak to a trusted HVAC contractor or expert for advice on how to approach and execute a coil cleaning plan and cover all of your bases before jumping in.